The ocean is waiting for you! Become a turtle and enjoy the wild world. 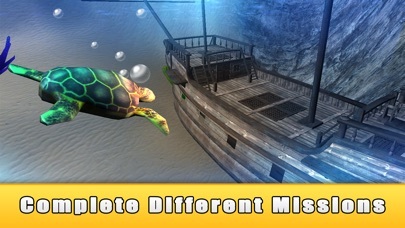 Fight with animals, look for turtles, dolphins, sharks and treasures. There are two modes: quests and survival. In survival mode your mission is to stay alive in the wild. 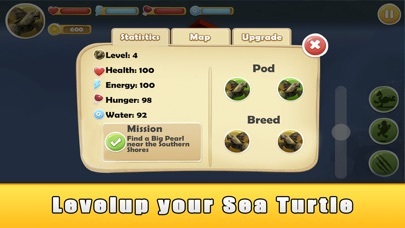 In quests you are exploring the ocean bottom, looking for mates, killing wild sharks and doing other things. Turtle's life is hard, but the ocean is beautiful! Explore every dark corner and find a lot of ocean surprises. Try this simulator and meet sharks and dolphins. Fight to survive in the wild or run away. 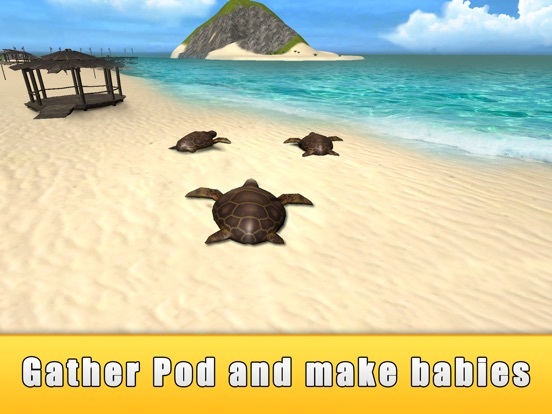 Start your own turtle family and travel together. Have you ever dreamed about a cute animal like turtle or dolphin? So, we have made the simulator for you. Travel, hunt and explore the ocean. 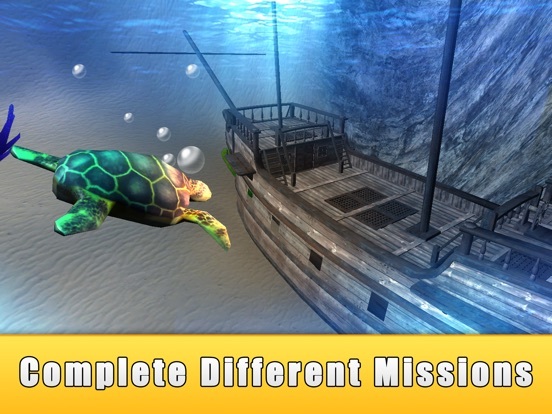 Find a mate, breed another turtle and maintain their survival against the sharks. Start your ocean journey now! 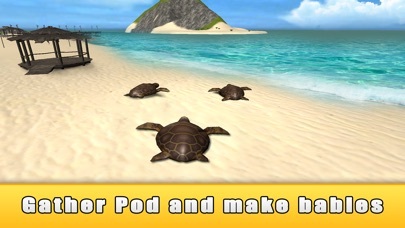 Easy controls help you to move your turtle, find enemies and kill. 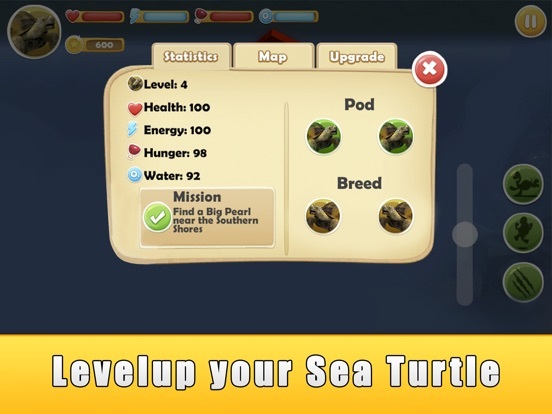 Eat to maintain your turtle health, the simulator is not easy. Also, fight with sharks, they are always ready for battle. And beware of dolphins too, who knows these animals?.. But if you levelup your wild animal, you can win all battles with sharks and dolphins in our survival simulator. Explore what the ocean is hiding! Shipwrecks or pearls? Sharks or dolphins? Find all the animals. Challenge your friends. Who is the best turtle? Meet with wildlife and enjoy it. So, you have never seen a wild dolphin or shark in your life? There is a tutorial in the simulator. Check wonderful ocean locations. Many animals are waiting for you. Complete quests to make the simulator more enjoyable. Try to fight with dolphins and sharks. 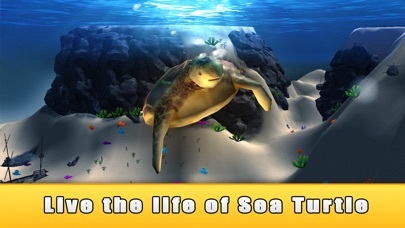 If you like animals and the ocean, we can't wait you start playing Sea Turtle Simulator 3D!